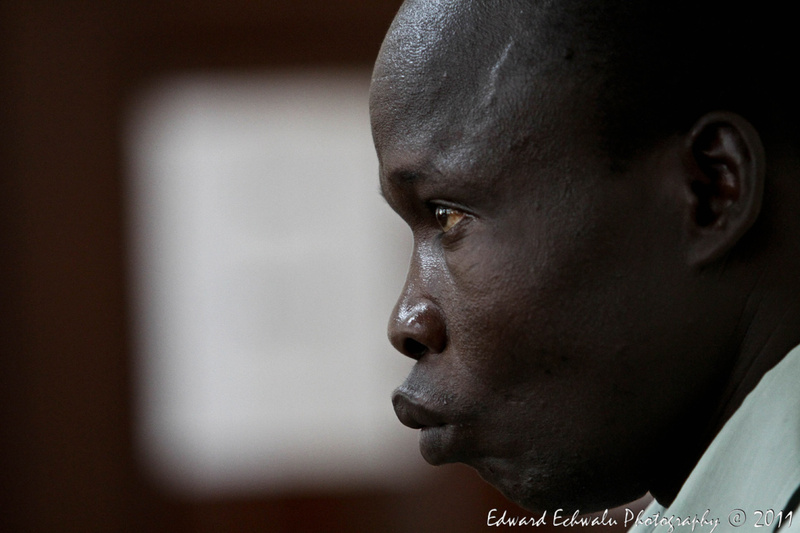 Thomas Kwoyelo, a former director of field operations in the rebel group LRA appears before a War Crimes Court in Gulu, 300km (217 miles) north of Uganda’s capital, Kampala on July 25, 2011. Kwoyelo is presently facing 53 charges of war crimes comprising murder, kidnap with intent to murder among others. Uganda becomes, the first African Country to try nationally those alleged to have committed war crimes and crimes against humanity.